Looking for hotels in Jerusalem? This beautiful and vibrant city offers a wide variety of accommodation options for cheap and convenient prices. From excellent vacation deals in the world’s most exclusive hotels to magical B&B’s located in the lavishly green nature of Jerusalem Mountains. Whether you’re coming for a relaxing family vacation, the holidays, a romantic getaway or even a business trip, you will find a great amount of accommodation possibilities in hotels, hostels, vacation rentals and Bed and Breakfasts that will suit any type of vacation. Hotels in Jerusalem offer a countless amount of special offers and vacation packages at affordable prices. 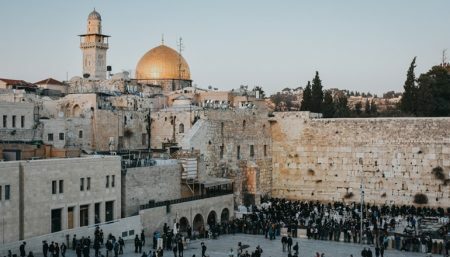 We’re keeping you updated on the discounts, offers, promotions and indulging weekends in the different hotels in Jerusalem. Right now you are one click away from the city’s best deals, and therefore, from your amazing vacation in Jerusalem. Here you’ll get all the information you need in terms of the hotel’s location and its proximity to city’s tourist attractions and restaurants, the quality of hosting and the different amenities that each accommodation has to offer. Enjoy your stay! Indulge yourself with special prices at Hotel Ye’arim at Jerusalem Hills! Get ready for an extraordinary holiday experience at the heart of Jerusalem.